I talked last week about the fact that anything is possible with the right intention, attention, and execution. So to uncover all of my possibilities, I wanted to start with my intention. Each day I asked myself What do I Intend? As you might expect, I approached this initially like a goal setting exercise for the day. Examples were: ..to get my desk organized…to make X number of prospecting calls…to exercise and meditate..etc, etc. I liked the daily approach because it forced me to evaluate what I was saying yes to each day. When we say yes to one thing, we have to say no to something else and I want my yeses to have impact. Approaching each day with specific intention also gave me a strength I didn’t expect. I was more present with my clients and accomplished so much in my business that it was invigorating. Later in the week, I started to think about intention in broader terms: I intend to exceed my financial objective for this year…I intend to honor my 4 words daily (Family, Serve, Share, and Lagnaippe)…I intend to be imperfect…I intend to create a space that allows others to be imperfect…I intend to have an impact on the world and I will do this by approaching each day with intention. So what came up for you when you focused on daily intention? Did it surprise you? I will come back to the triad of intention, attention, and execution in future posts. This week however, I wanted to tackle a lighter question but one we might not ask ourselves often enough. What Makes Me laugh? You know the drill. 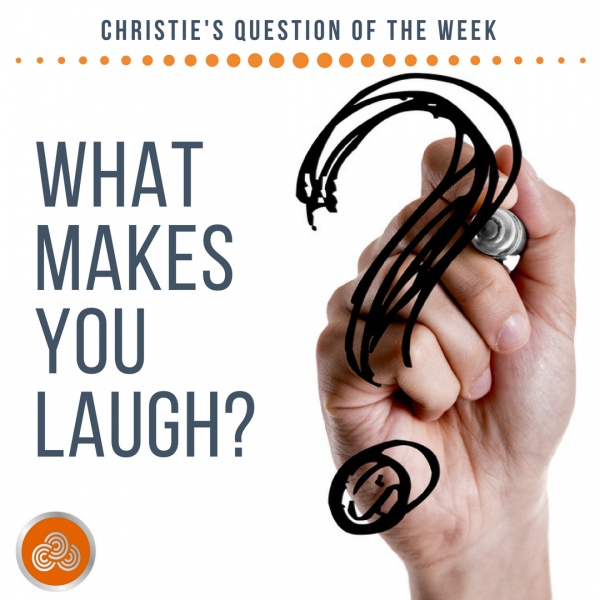 Write down three things that come to mind when you ask yourself What Makes Me Laugh? Do this each day and see what you discover. I’m interested to see what we each have at the end of the week. Share your story. Share your observations. Let’s laugh together.